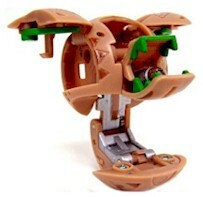 Leefram is an elite snake-like Mechanical Bakugan who combines with Cyborg Helios and Helios MK2 and other Mechanical Bakugan to form Maxus Helios and Maxus Helios MK2. A robotic snake-like creature. Leefram as two arms with sickles for hands. A deadly sharp horn projects from the top of its head, while venomous fangs stick out from its mouth. Leefram has the ability to stand tall by contorting its body, this allows for attacks that are fast and ferocious. Purchase Leefram from Amazon now!